How Long Does it Take an Action to Become a Habit; 21, 28, or 66 Days? Have you ever wondered this? I know I have, and as an ADHDer it is especially hard, because often times you lose focus and are on to creating the next greatest thing a habit. 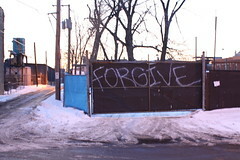 Do You Know the Health Benefits of Forgiveness; Do You Remember to Forgive Yourself? I’m not sure what prompted me to recreate this tool and put it out there, but it’s something I learned in graduate school and think is indispensable. I’m at a complete standstill, as a matter of fact it was hard to write this blog today. My mind feels like it’s on vacation, only it hasn’t gone anywhere. ADHD and Hey Look! A Squirrel!